Bariatric Girl » Blog Archive » Surviving to Thriving! You’ve got to see this! Next Article« Give your review on WLS! Surviving to Thriving! You’ve got to see this! And here are the results. 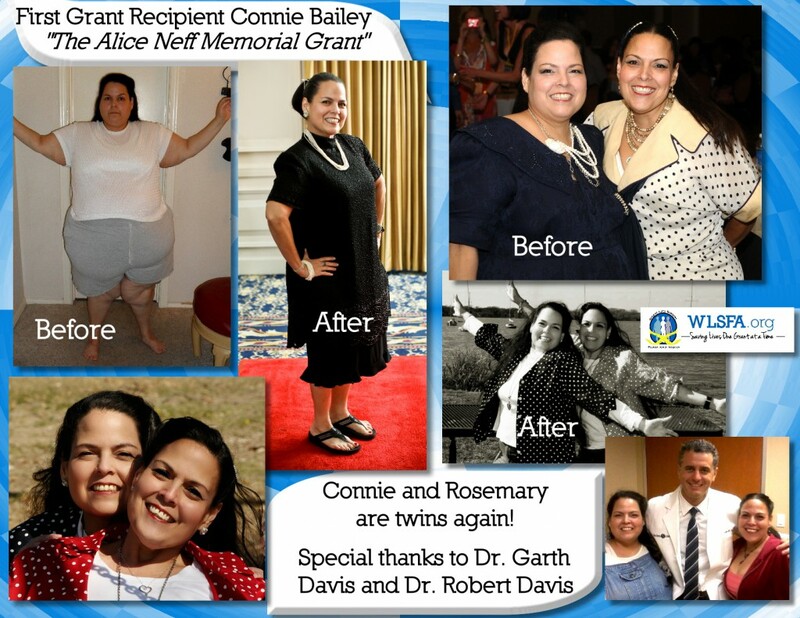 Connie lives every day in gratitude and is an inspiration to me! Connie’s time has come!! On March 23rd she will finally get her long awaited surgery. Thank you WLSFA.org (Toni Namnath) and thank you for naming the grant after my friend Alice Neff who needed the surgery so desperately and could not get it and chose to end her life because she couldn’t stand the pain any longer. Hopefully thanks to the WLSFA there won’t have to be any more Alice’s. Next week I will be traveling to Houston to be there for the surgery with Toni and Connie’s family…Rosemary her twin and Alfred her husband. Could this possibly be more exciting??? It’s finally your time Connie!! I can so relate to the Sears shopping. My mother took me to the “pretty plus” section. I never could figure out what made plus pretty. My clothes were not like the other kids, I couldn’t wear things they did. At 9 and 10 years old that left a huge impression on me. It’s tough on a 9 year old girl isn’t it? I don’t remember too much about clothes but I do remember going on Weight Watcher’s when I was that age. That was the first diet of many and as the years went on they just got stranger and stranger. I also remember that I hated to go to school every single day. Thanks for taking time to leave a comment Jennifer. This is a very touching story. I have finally been approved and I am scheduled to have my procedure on 3/23, the same day as Connie. Oh Nichole!!! How wonderful!!! Congratulations on your upcoming journey. Please keep us posted on how you are doing! I’m so excited for you!! !